When you use a plastic fork to eat your takeaway lunch packaged in a plastic box, do you think about where the plastic waste goes once you trash it? Most of us have no idea – we live in a “throwaway culture” where we chuck garbage out without understanding where it goes. <i>Plasticized</i>, a short documentary available free online, aims to bring the issue of plastic waste and its polluting effects on the ocean to a wider audience. The film follows the oceanic journey of the 5 Gyres team aboard the Sea Dragon on their first scientific expedition on plastic waste. 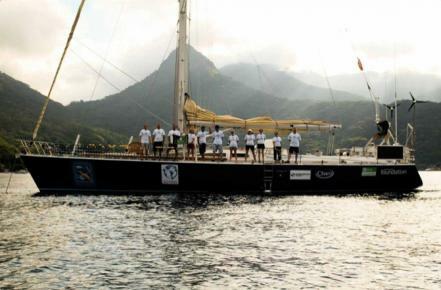 Led by Dr. Marcus Eriksen and his wife Anna Cummins, the team sailed across the ocean, from Ilha Grande in Brazil, to Cape Town in South Africa. During their 31-day journey, they collected water samples every 60 nautical miles to test for plastic remnants. 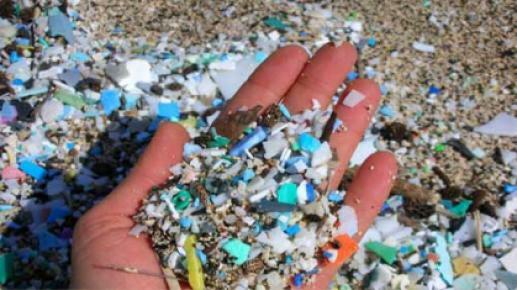 What they find might at first seem disappointing to the average viewer – just bits and pieces of very tiny plastic. But then you realize: the boat is thousands and thousands of miles away from human civilization and the "soup" of plastic bits hints at the vastness of our plastic attack on the ocean. The documentary is an intimate account of their voyage as scientists and teammates. We were touched at scenes that showed them trying to maintain normality and familiarity throughout their mission, like when they made a Thanksgiving dinner onboard for the whole group.